If you want to get the most out of your money, it makes sense to listen to people who know a thing or two about it. Finding a financial mentor is a great way of doing this, but if you can’t find one right away, following tips from those who are well-respected in different financial fields is a good place to begin. When most people think of finance and investments, one of the names that invariably comes up is Warren Buffett. There is a good reason for this and a good reason that many people look to Buffett for tips. When it comes to money, you should always spend wisely. Everyone wants to splurge here and there, and sometimes we like to justify or explain away our purchases. You buy something you don’t really need and say it’s because you just celebrated a birthday or a holiday or some personal achievement. But if you keep buying things you don’t need, especially if you have problematic finances, to begin with, you’ll end up having to scrounge for money. You might even have to end up selling those items you just bought. You should always be saving for the unexpected. Most people don’t save as much money as they should, as they assume they won’t have any big emergencies to deal with in the future. But you never know when an emergency will occur, and you should always have money saved up in an emergency fund. 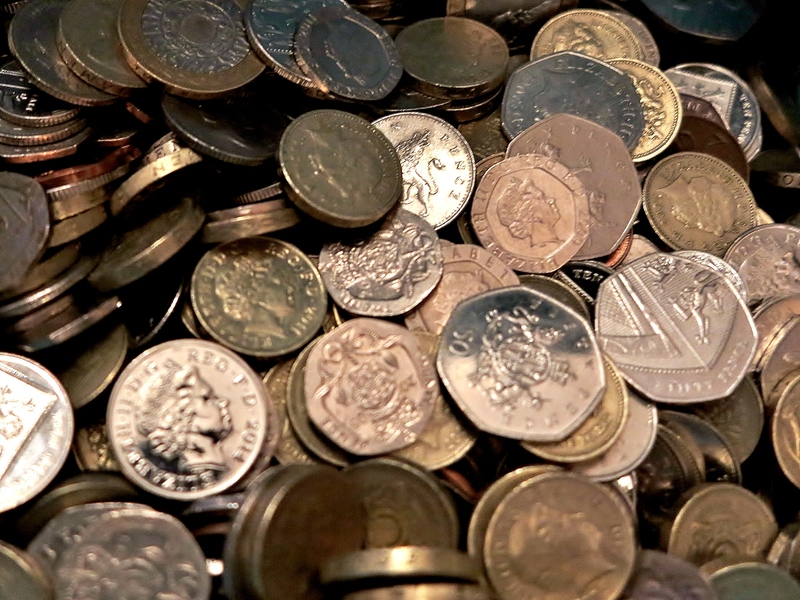 As soon as you get your monthly paycheck, set aside a small amount of money. As Warren Buffett has stated in various interviews and articles, money doesn’t grow overnight. People often overestimate and underestimate specific purchases, investments, and savings. Many people are often wary of thinking in the long-term as they’re too concerned about immediate financial problems and situations. But long-term financial goals are important. You don’t want to find yourself in trouble ten years from now or even twenty or thirty years from now. 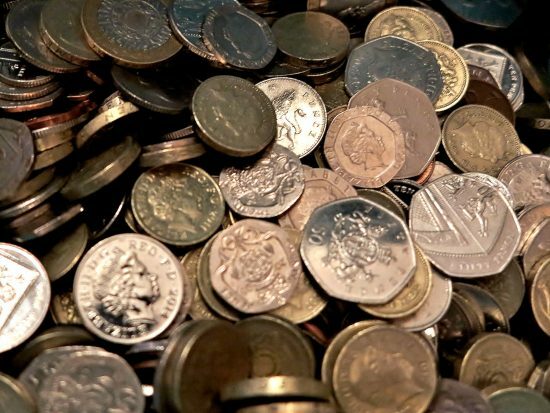 While sometimes it’s necessary to borrow money, you’ll have a harder time saving money and become financially independent if you rely on borrowing money. Accruing credit card or loan debt will end up drastically harming your finances. If you have debt, start trying to figure out a way to pay it down or even better, how to stop relying on borrowing money. Buffett also recommends that you should never invest your money into a business or idea that you can’t understand. For one thing, putting your money into something you don’t understand will only lead to trouble down the road. On the other hand, understanding a business or investment idea can help you determine if there will be any associated financial problems in the future. When it comes to money, you should master the basics of investing and accounting so that you know what you’re getting yourself into. For instance, knowing the ins and outs of debt and loans will help you out when you go to apply for a loan or credit card. Knowing the basics of finance will help you strengthen your financial decisions. If you’re looking to get into investing or the stock market, it’s important to know the type of stocks you want to buy. Buffett has repeatedly said that “It’s far better to buy a wonderful company at a fair price than a fair company at a wonderful price.” Which basically means you want to make sure you buy something worth your money instead of picking the cheapest option available. Sometimes, something will be very cheap and poorly made. And other times something will be moderately priced but will have a decent value. Price is what you pay for an item, but the value is its true worth. It might be worth spending a little more for an item that will last you a little bit longer. Additionally, before you buy any item, you need to make sure that both the price and value are a good deal. Buffett is famous for having regretted his purchase of Berkshire Hathaway, which ended up being on the wrong end of industry changes and cost him substantially in the long run. Buffett also recommends keeping a modest lifestyle if you’re trying to save money. Keeping yourself on a budget will help you watch what you spend and help you save money for the future, as well as a lot more. A lot of people want to live beyond their means, but if you’re trying to keep track of your finances, it’s important to live within your financial means. You shouldn’t be trying to spend more money than you have. Additionally, it’s important not to fall into the trap of compulsive buying. Compulsive buying can lead to credit card debt and waste your entire savings. You don’t want to end up spending all your money on items you don’t need and can’t afford, right? In this day and age, many people like to buy items they think they need to own. Before you go out and buy all those items you’ve been lusting after, it’s a good idea to reassess your purchasing habits. How Did Buffett Get So Rich? Buffett is one of those interesting guys who has managed to beat the odds. Despite having a wealthy father who was involved in national level politics, Buffet managed to accumulate enough of a fortune to make him one of the world’s richest men. This is certainly a remarkable feat. If you want to really learn how Buffett did it, consider getting two books. First, pick up a copy of The Snowball: Warren Buffett and the Business of Life . It is an authoritative and comprehensive review of Buffett’s career – loaded with lessons for the average investor. Second, if you want to learn how Buffet traded stocks get a copy of James Altucher’s book: Trade Like Warren Buffett . The book walks you through the strategies that Warren Buffett uses to make money trading the stock markets – hint: it wasn’t just value investing. Altucher’s book is also accurate and comprehensive. Both works together will give you an excellent overview of what Buffett did to make his business successful. If you are reading this because you want to get rich, consider checking out our articles on how to buy an oil well and how to increase your credit score by 200 points. If you like this article please feel to share it on social media or leave us a comment! Billion may be the new million when it comes to measuring the net worth of some of the most successful and influential people of our time. With personal finance, most of us know it’s not always about how much you make, but how much you save and own. This is why while salary is still impressive, net worth is also equally as important. Let’s count down the top 5 richest people in the worth with some of the highest net worths to date. Photo: Flickr: Steve JurvetsonJeff Bezos is a 52-year-old American technology entrepreneur and investor who is the founder and CEO of Amazon. As of June 2016, his net worth is $42.2 billion. Pretty much everyone has heard of Amazon whether you use it for shopping, listening to music or streaming popular television shows via Amazon Video. 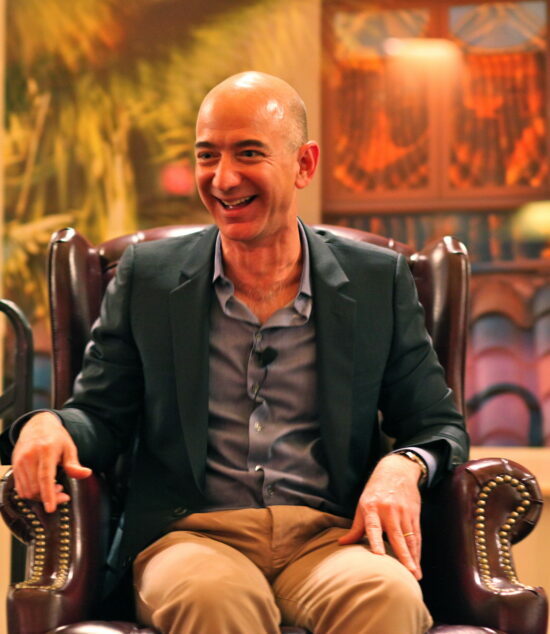 Bezos originally set up the global company in his garage in 1994 and left his good-paying job at a New York City hedge fund after hearing about the rapid growth of internet use. His strategic business plan and diligence allowed the company to grow into the global icon is it today. Just this past month, Bezos earned $6 billion in one afternoon after Amazon reported its most successful quarter in 22 years. In 2000, he founded Blue Origin, a human spaceflight startup company. Bezos was also one of the first people to invest in Google in 1998. 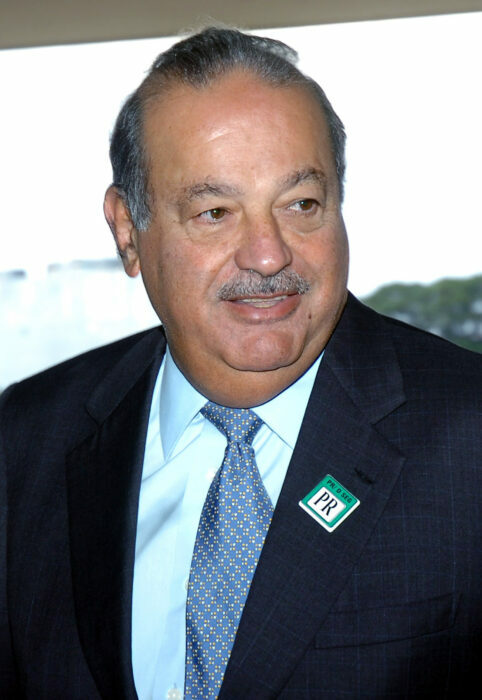 Photo: WikipediaComing in at 4th place is Carlos Slim Helu, a 76-year-old businessman, investor and philanthropist. Carlos started investing at the age of 11 and most of his wealth comes from telecommunication companies along with his personal shareholding. Slim is the chairman and chief executive of telecommunications companies Telmex and América Móvil. América Móvil is Latin America’s largest mobile phone carrier and is said to account for a majority of Slim’s net worth. He is said to be Mexico’s wealthiest man with a current net worth of $50.3 billion. Photo: Flickr: thetaxhavenWhen you think about investing, Warren Buffet is a name you may hear often as people refer to him as the most successful investor in the world. His net worth currently sits at $66.8 billion and he started establishing his wealth at the young age of 11. At 15-years-old, he had a net worth of $6,000 and became a millionaire at age 30. 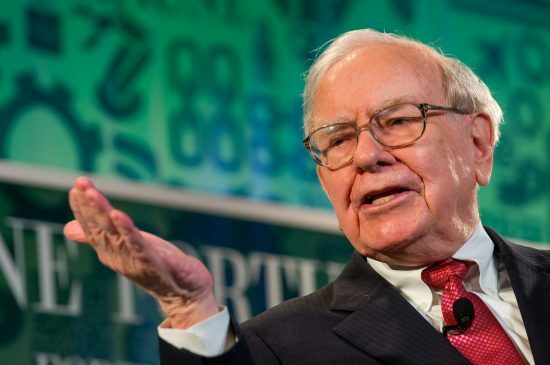 Buffet is the chairman, CEO and largest shareholder of Berkshire Hathaway as well as a philanthropist who’s pledged to give away 99% of his income to charity. Buffet attributes his wealth and financial success to value investing and frugality. 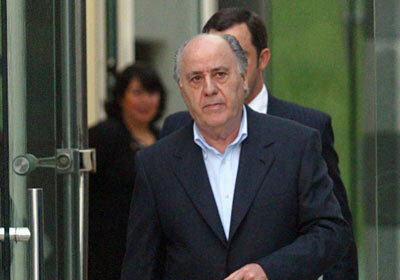 Photo: ForbesAmancio Ortega is the second richest person in the world with a net worth of $73.3 billion. He is a Spanish fashion businessman and founding chairman of Inditex fashion group which is best known for its’ chain of Zara clothing and accessories stores. Ortega’s net worth has steadily increased since founding Inditex in 1963, and to much surprise, he keeps his personal life very private. In fact, no photograph of Ortega had been published (or available) until 1999. He is known for living a very simple life. Photo: Flickr: Steve JurvetsonIt should come to no surprise that founder of Microsoft is extremely wealthy. Bills Gates is an American businessman, investor, philanthropist, programmer and the richest man in the world with a current net worth of $75.9 billion. Bills Gates’ net worth has slightly dipped within the past year, he still earns way more money than he has time to give away. 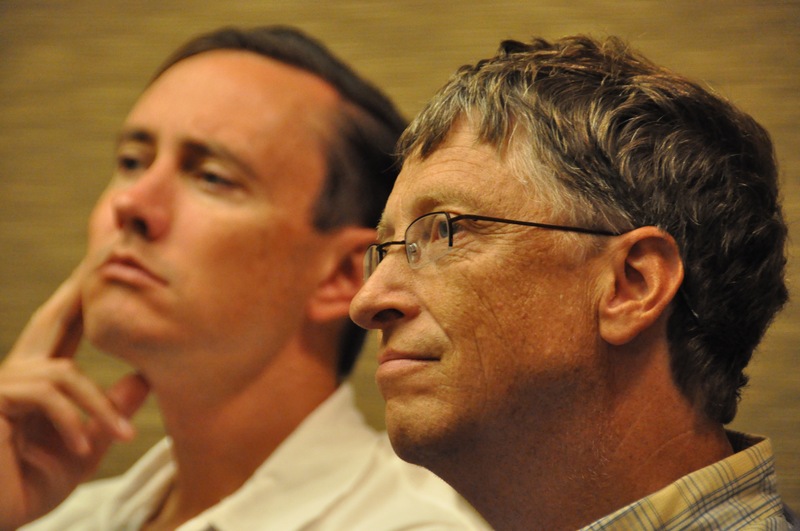 In 2000, Gates stepped down at the CEO of Microsoft in order to focus more on global philanthropy. In a 2013 interview, Gates said, “I’m certainly well taken care of in terms of food and clothes. Money has no utility to me beyond a certain point. Its utility is entirely in building an organization and getting the resources out to the poorest in the world.” He’s donated more than $28 billion to charities throughout his career. Who is your favorite billionaire on the top five list? 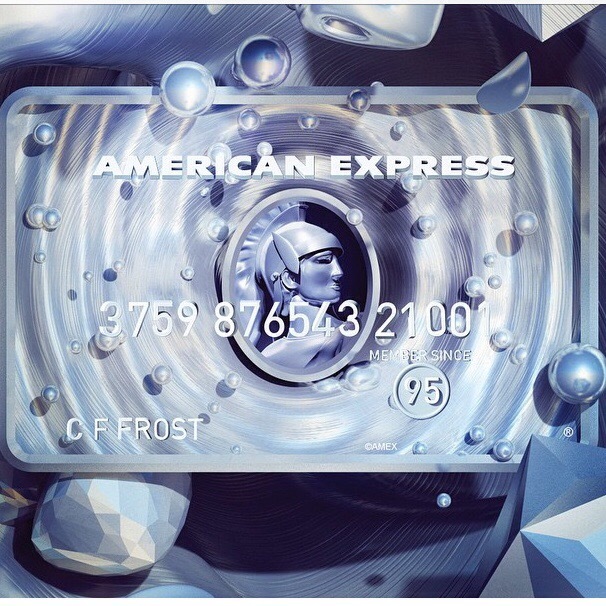 American Express, which has seen no significant growth in the stock market, is looking to increasing card membership, and quickly. The lender is seeking to reverse its worse stock slump since the recession. After Costco announced the end of its 16-year-long partnership with American Express, many people have been turning their attention to AmEx stock and what the company is doing to stay afloat after losing such a crucial deal. What are American Express’s plans to keep the business profitable? AmEx CEO Ken Chenault said that 2015 was a disappointing year for American Express investors, but the company plans to change that this year by spending more money on acquiring cardholders. The company said last month that marketing and promotion expenses increased 19 percent from first quarter. In addition to seeking new members, AmEx is also looking to acquire new retail partners to replace the broken partnership with Costco, which accounted for 20 percent of the company’s loans. Although the deal with Costco is over, the company holds a partnership with Starwood Hotels. This partnership accounts for about 4 percent of American Express’s total loans and 2 percent of its spending. However, even this deal is at risk for extinction, according to Bloomberg. Starwood Hotels is being bought out by Marriott International Inc., which already has a standing partnership with JP Morgan Chase & Co. and Visa Inc., both of which are the largest companies within their prospective markets. American Express’s CEO said that the company is focused on doing the best it can for Marriott and Starwood customers during this transition. Chenault pointed out that Starwood does not represent a major portion of AmEx earnings, but if the company loses this deal as well it will be yet another hit to its earnings. Chenault doesn’t seem to be concerned that the company will be able to achieve a profitable year though. He and his team have refocused their energy on vamping up the company’s lending department to yield a profit for its shareholders this year. Warren Buffett, whose Berkshire Hathaway Inc. is AmEx’s largest shareholder, expressed that he is not worried about the company though. On Saturday at a Berkshire shareholder meeting, he expressed nothing but confidence in AmEx’s ability to pull out of the stock slump that they are in. 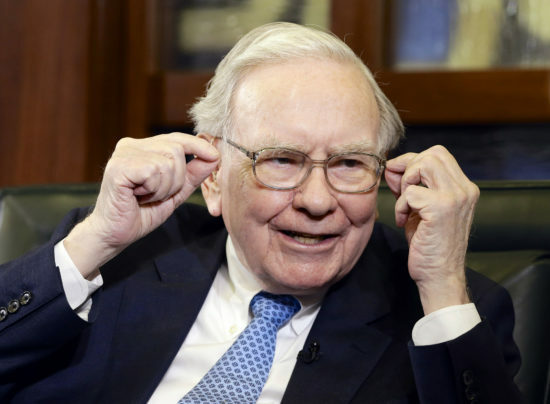 “I personally feel OK about American Express, and I’m happy to own it,” Buffett said. According to Buffett, American Express “has been under attack for decades — more intensively lately — and it will continue to be under attack. It’s too big a business, and too interesting a business.” The major shareholder also said that he supports AmEx’s decision to end partnership with Costco. At the end-of-day on Monday, AmEx stock was up .38 percent, however, this has not been the norm for the company in recent months. American Express shared have slipped 5.7 percent this year, which pales in comparison to the 28 percent shares have fallen since November 2014 when Costco and AmEx announced the end of the partnership between the two companies in the United States. Only time will tell whether the company’s push to increase AmEx membership will prove to be profitable or not. Ever gone out to lunch with someone and offered to pick up the tab? What did it cost you? Twenty, maybe thirty dollars for a nice social outing? Generally not an amount that would really break the bank. But would you do the same if you knew the bill would top $2.3 million? Well, there is a certain Chinese company that would gladly pay that amount. On Friday, Dalian Zeus Entertainment Co., a Beijing-based online game developer, submitted the winning bid of $2,345,678 to clinch the top spot in a Glide Foundation charity auction. With that bid, the Chinese firm will have a private lunch with finance guru and billionaire Warren Buffett. The CEO of Berkshire Hathaway, Buffett’s advice is frequently sought out due to his expertise in finance and philanthropy. The Glide Foundation, who set up the eBay charity auction, will use the proceeds to carry out their mission of fighting poverty and homelessness in San Francisco. “What we try to do is work to empower our people, to make sure that people find some way to have hope,” says Reverend Cecil Williams, a Glide co-founder. 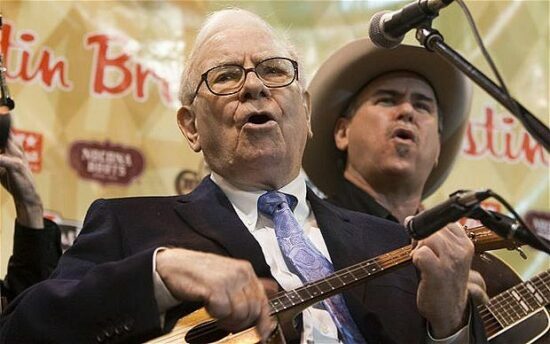 Buffett is clearly on board with their mission, as he agreed to the charity auction. “Every year it’s an interesting experience for me. I’ve met a lot of great people in connection with it,” said the 84-year old finance wiz. The winner of the auction, Dalian Zeus Entertainment Co., can invite 7 others to dine with Buffett at this year’s designated location of Smith & Wollensky steakhouse in New York City. The restaurant also donates $10,000 to Glide to host the lunch each year. With about three hours for the lunch date, the 8 lunch guests can talk with Buffett about almost anything. The topics of discussion are generally broad, with only his and Berkshire Hathaway’s investments being off-limits. If you thought the winning bid of $2.3 million was a hefty price, you would have been stunned in 2012. That year, the winners of the Glide online auction agreed to pay what is still the highest price for a charity item sold on eBay: a whopping $3,456,789. Still, this year’s winning bid is very high, and it rose to that point fairly quickly with the high bid reaching 7 figures in just the first day the auction went live. The rapid rise in the price was probably why only 8 bidders were in contention for this year’s prized lunch. Not everyone has the money to bid on this type of auction or the opportunity to dine with the likes of Warren Buffett. Still, you don’t have to dine with him to get a benefit of some of his sound financial advice, even if some of it might seem boring. Berkshire Hathaway Inc. is an American multinational conglomerate holding company that oversees, manages or owns some portion of a number of subsidiary companies including GEICO, Heinz and The Coca-Cola Company, among many others. Since 1970, Warren E. Buffett has been the chairman and chief executive of Berkshire Hathaway, and his announcement about his plan to retire started off a frenzy of speculation concerning who could succeed the man who had become synonymous with Berkshire Hathaway. But on Saturday, Munger also suggested that Greg Abel, who currently runs Berkshire’s energy business, is also a “worthy successor.” In his letter to shareholders marking 50 years of running Berkshire, Munger wrote, “Ajit Jain and Greg Abel are proven performers who would probably be under-described as ‘world-class’,” and Munger went as far as to say, “Each is a better business executive than Buffett,” in some ways. Jain, who has spent almost 30 years at Berkshire, has always been considered a front-runner for the CEO position. In 2014, the group he heads, Berkshire Hathaway Reinsurance Group, contributed $42.5 billion to Berkshire’s total insurance “float,” which has enabled the company to continue to expand its investments and business options. Mr. Abel, a relative Berkshire newcomer, has significantly expanded the branch that he runs, Berkshire Hathaway Energy. According to the Insurance Journal, the company now operates natural gas pipelines from the Great Lakes region to Texas, and electric utilities in states including Oregon and Utah. Additionally, Berkshire Energy is one of the largest producers of wind and solar energy. Ultimately, regardless of who is chosen (and a successor has already been chosen), Munger has made it clear that both individuals would remain with the company and would not change the tenets that have enabled Berkshire’s remarkable survival through the Recession, such as the use of cash for acquisitions and providing managers with significant amounts of autonomy. Additionally, Buffett‘s son Howard is expected to become the company’s non-executive chairman as a “safety-valve” to ensure the incoming CEO is “up to the job.” Perhaps more importantly, Howard Buffett’s position will retain some of Berkshire’s ‘Buffett-magic’ that has soothed the minds of the company’s shareholders and will ensure them that much will continue as it always has.